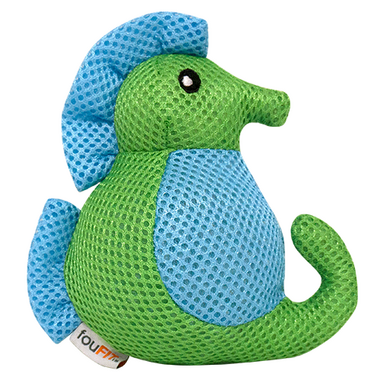 Have some fun in the pool with your furry friends and FouFit's adorable Aqua Friends. These creatures are made of a durable mesh that is tightly wrapped around a TPR spike ball. Creating an interactive experience for your pet, these toys also feature a squeaker and a bumpy texture that massages the gums when chewing. The fun round shape makes it easy to toss and roll around!